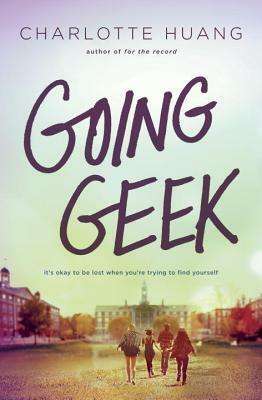 Going Geek is a novel that centers around Skylar Hoffman’s struggle as she drops to the bottom of the social food chain after losing the amazing boyfriend, the coolest friends, and the most desirable dorm. Senior year for Skylar was supposed to be perfect, but a turn of events leave her with nothing and force her to start fresh. With no one else, except her new dorm known for nothing, Skylar is determined to not let her old friends dominate her. She shows that when trying to find oneself, it is ok to be lost and to take steps out of one’s comfort zone. This is your typical prep school cliche where the girl is kicked out of her clique, her BFF becomes her enemy, becomes friends with people she never knew existed, and gets together with the artsy underdog boy. However, there are unique aspects the author incorporates into the story and I personally enjoyed reading this book. There are parts that are not very believable as her best friends end up completely leaving her, but Skylar’s actions are believable and I found moments when I could relate to her. I really enjoyed seeing Skylar’s creative ideas help find her passion and her friends. Skylar’s character development was huge and was what made it so enjoyable to read. What character would you say you identified most with in high school? 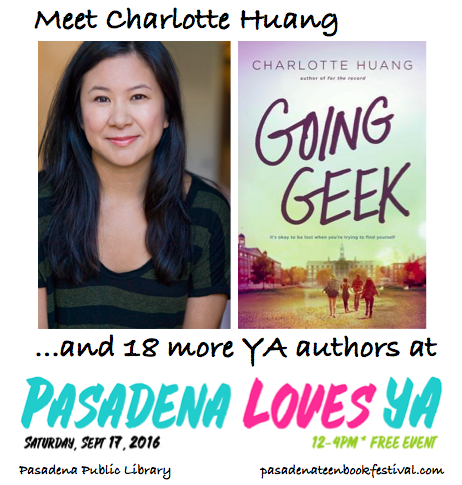 I can truthfully say that I wasn’t like any of the characters from Going Geek when I was in high school! That said, there are aspects of each of them that feel very familiar and close to me. I shared Skylar’s worry that it was taking me longer for me to find what I was good at than it was for people around me. However, I wasn’t as good at bluffing as she is. I also identified with her tendency to say the wrong thing without meaning to—still do actually! My favorite moments to write were when Skylar spent time with the Abbot girls. I enjoyed putting such different characters in scenes together and writing dialog that showed that they truly didn’t understand one another but were becoming friends anyway. So much fun! I also loved writing the boarding school setting. I think the school I went to is so incredibly beautiful–everything about it feels significant and grand. I haven’t visited in many years but I’d love to go back and wander around. Team Declan or Team Leo? I want so say so much about this (seriously, could talk about these two all day) but don’t want to give spoilers. Let’s just say that I was initially sad at the direction things took. Any criticism is always tough! But I’m getting better at receiving it and compartmentalizing it. Slightly better. The best compliment I’ve been given is that I write good swoony scenes and characters. I think I’d go to the future to see what happens to my family in later generations. Like many writers probably do, I feel as if I already spend quite a bit of time thinking about the past—at least my personal past. As for where, it doesn’t really matter because I love to travel and I’m sure I’d find a way to get around. Hopefully it’ll be even easier in the future!